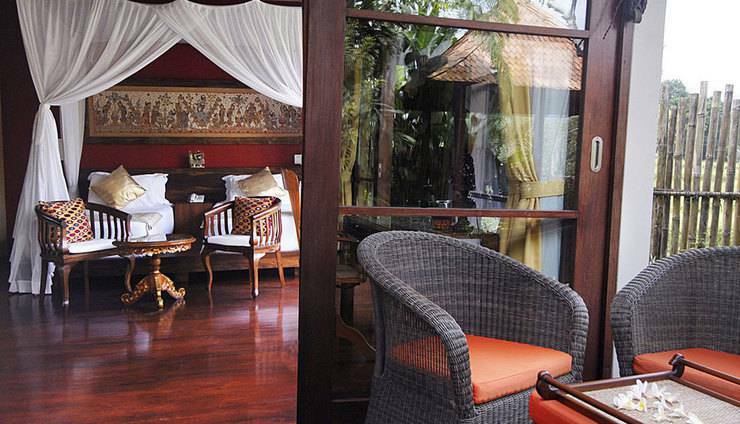 Villa Bayad adalah sebuah resor villa pribadi terletak di Ubud. Vila ini menawarkan kolam renang, taman tropis dan ruang hidup terbuka yang indah. 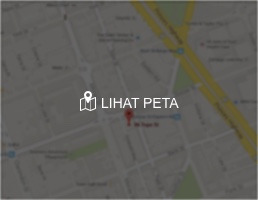 Villa Bayad secara sempurna memadukan kemewahan modern dengan sentuhan unsur-unsur tradisi lokal, sehingga menciptakan suasana yang ideal untuk liburan yang tak terlupakan. Bagi Anda yang menginginkan akomodasi nyaman, tenang, dan luas di Bali, Villa Bayad bisa menjadi pilihan yang tepat. Dengan konsep luxurious private villa, akomodasi ini menawarkan area luas lengkap dengan furnitur khas Bali dan pemandangan Gunung Agung yang eksotis. Villa Bayad dapat dicapai dengan 15 menit berkendara dari pusat Ubud. Akomodasi ini menyediakan indoor/outdoor shower dengan air yang sejuk. Terdapat pula area duduk outdoor dan bale untuk Anda yang suka melakukan yoga outdoor. Villa Bayad juga menyediakan pusat kebugaran, spa, dan fasilitas sepeda gratis untuk Anda yang ingin berkeliling ke sekitarnya. Selama menginap, Anda dapat memasak sendiri makanan di dapur yang telah tersedia atau memesan makanan pada bagian dapur villa. Villa Bayad menyediakan kelas yoga dan kelas memasak yang dapat diatur sesuai dengan kebutuhan. Jika ingin berbelanja oleh-oleh dengan harga yang murah, Anda hanya perlu berkendara selama 30 menit untuk sampai di Pasar Sukowati. We stayed for a week in Villa Bayad together with our children who are in the thirties. Villa Bayad Is the most amazing and beautiful villa, we ever had seen. The surroundings are magnificent, the villa and bungalows are designed in totally respect for the Balanise traditions and architecture. The infinity pool and pool area is breath- taking. The staff was extremely helpful, friendly, professional, flexible and considerated. The House Manager Komang, took care of us from start to end together with the Head Chef who prepared the most delicious food every day. It is the best and most divine holiday/experience we have had. The cooperation with Red Lotus Property has been easy and forthcoming. We wish Villa Bayad and the staff all the best in the future. 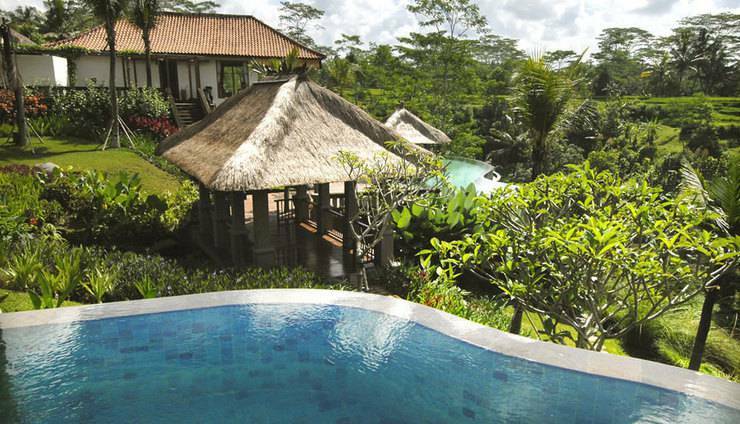 Bayad villa has amazing location situated in the heart of the jungle forest, 20 min away from the Ubud center. Unique balinese experience in relaxing, natural and private surrounding with heartwarming staff, most delicious homemade food (super vegetarian & vegan friendly), breathtaking wildness of the jungle and service you can only dream of. 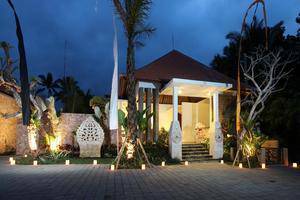 At all times you can feel villa has been made respecting the balinese culture but organized to suit western people needs. Pool setup is superb and water is chemical free. Great place for yoga and meditation. 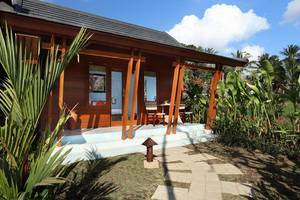 Top level hospitality and naturalized homestay are reasons I will come to stay here again. I had the best time of my life, feeling recharged and reunited with the nature. Spectacular Villa with Spectacular People - Service! 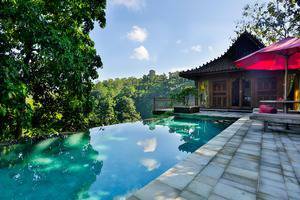 Villa Bayad is certainly amazing and the best place to relax and enjoy Bali life. Our family spent 12 days over the 2018 Holidays and had the Best Experience. The house is impecably run by Komang who is an altogether delightful and knwoledgable person. He went out of his way to arrange and re arrange our every whim. From dinners, expeditions, walks to yoga, massages and manicures. Always with a smile. The rest of the staff are also great Putu and Sri super cooks, Made and Wayan and all the rest. Our family of 6 were gobsmacked when we walked through doors to behold all the Villa Bayad showcases. Everything about staying here was easy and relaxing (and very soft on the eyes): the rooms, the staff that took care of us, the landscape and the food. The meals that were cooked for us were fresh and delicious - better than eating out! Komang was a beautiful host who was always there to offer suggestions about where to go and what to do. His English is perfect which was a bonus for us! We will definitely be back and recommend this accommodation to anyone - stay at least 3 nights... it’s worth it! The views, the garden and facilities available to us but especially the vistas that were visible from any angle made this trip for us. We had a wonderful week at the gorgeous Villa Bayad in early July 2018. 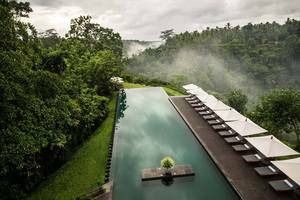 Nestled in the hills above Ubud, it was the perfect place for our large family to relax and enjoy the tranquillity and natural beauty of the Ubud hinterland. The accommodation was gorgeous and generous. The beds were big and comfortable. The architecture blended beautifully with the natural setting. The view over the adjoining rice paddies was stunning. However, above all Villa Bayad will be remembered for its lovely staff, led by the ever smiling and accommodating Komang. We enjoyed daily breakfasts with fresh juices and fruit and had many home-made meals in the dining room, overlooking the gardens. When we needed inspiration, Komang was ever ready to make recommendations to walk us through rice paddies and show us elephants, monkeys and much more. We will definitely be back.